Whether you are going on your first or second date with someone or have been with your significant other for decades, deciding on a date activity can be difficult. You may be unaware of the many things to do in Fort Lauderdale or you might find yourself stuck in a rut of visiting the same neighborhood restaurant time and time again. Spice things up with one of these fun and creative date ideas in the city! Solve a mystery at an escape room or sample wines overlooking the sparkling river. 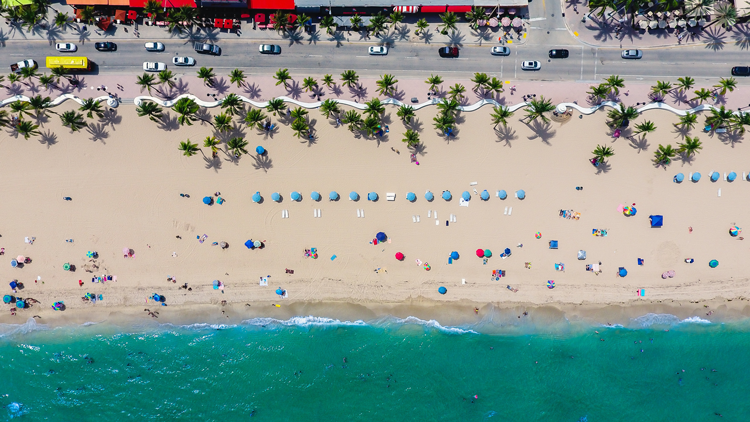 Wherever you go and whatever you do, you are sure to enjoy your time at one of these renowned destinations in Fort Lauderdale. Keep things light with a casual coffee date at a local shop in Fort Lauderdale. 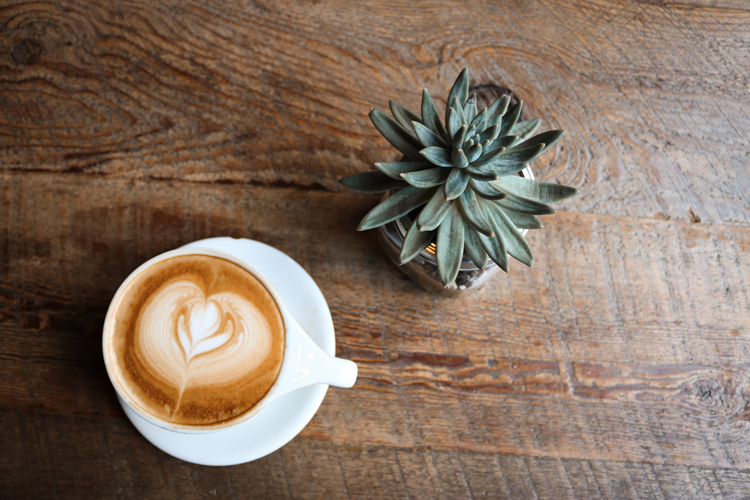 Plus, you can start your day together at a coffee shop then venture to do any of the other date activities on this list! You’ll need the caffeine if you’re going to make a full day out of it. We love Warsaw Coffee for its hip, industrial atmosphere. Enjoy a cup of coffee and a small bite to eat on their airy patio shaded from the sun. Another favorite is Brew Urban Cafe, a bookstore-meets-coffee shop. This funky cafe is filled with a sprawling book collection, and of course, all the coffee and pastries your heart desires. It’s clear that this creative shop values and supports the arts. Why split up dinner and a movie when you can enjoy both at the same time? AMC Dine-In Theatre at Coral Ridge is a movie theatre and a restaurant rolled into one. Pick from a full menu of fresh, handcrafted dishes — from appetizers to desserts — and pair your meal with your favorite drink from the bar. With the dine-in full service option, you can reserve your seat, choose from the full menu and bar, and order from your seat with the push of a button. Take a look at the upcoming movies at the Coral Ridge location and book your next date night! 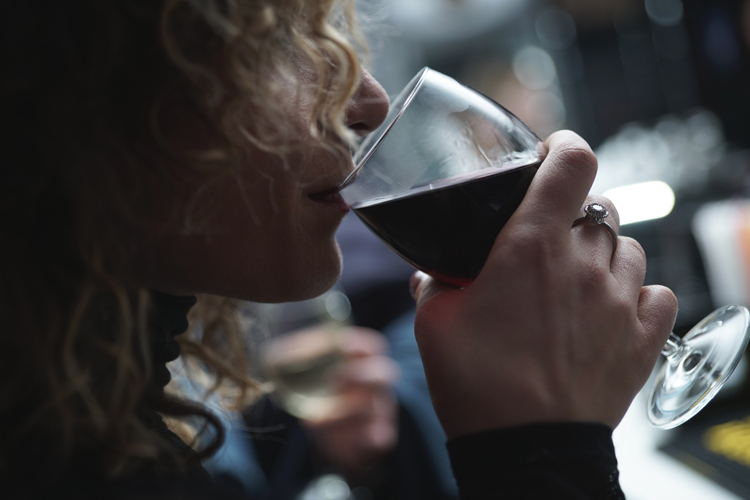 Wine tasting is one of the most romantic activities you can do as a couple — whether you’re a seasoned wine aficionado or you are just learning about the different varietals. Visit Versare Wine at the River or Wine Watch Inc. for a special wine tasting with your significant other. Versare Wine at the River is a boutique wine and select craft beer store located along the river near Sunrise Boulevard. Patrons enjoy the waterfront deck while tasting from a curated list of wines produced by small ethical vintners. Versare has a refreshing sustainable, biodynamic and organic approach to wine. Wine Watch Inc. has a series of wine events happening on a regular basis that you don’t want to miss. They host their spectacular wine tasting dinners in Wine Watch’s new wine bar in addition to Café Maxx and The Fontainebleau Hotel. Take a look at the schedule to plan your next adventure in wine! 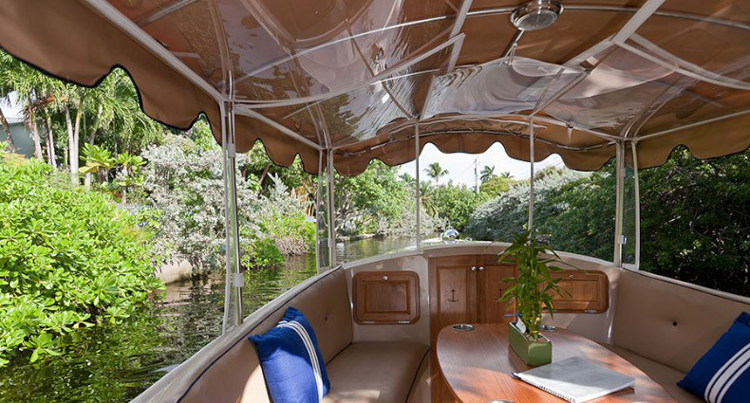 While technically located in Davie, Flamingo Gardens is a popular destination for those living in and visiting Fort Lauderdale and surrounding cities. 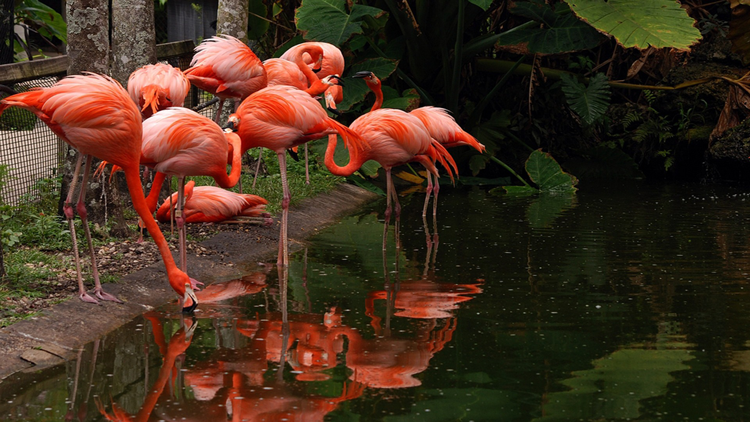 Established in 1927, Flamingo Gardens is a 60-acre botanical garden and everglade wildlife sanctuary. 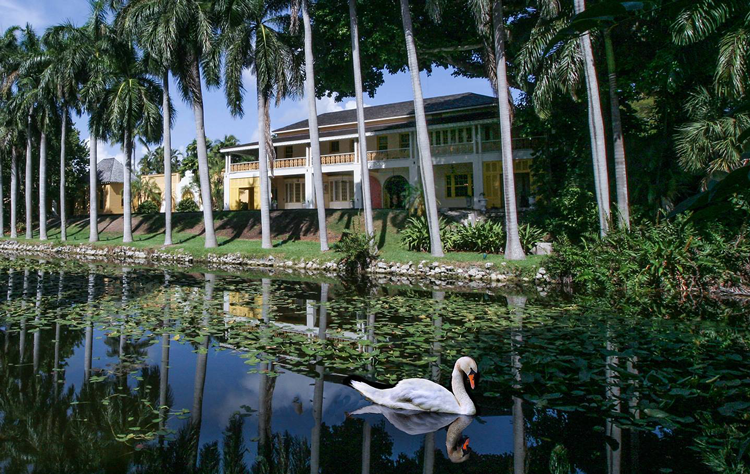 In fact, it is one of the oldest botanical gardens and attractions in South Florida! The gardens feature over 3,000 species of rare and exotic, tropical, subtropical, and native plants and trees. And the wildlife sanctuary is home to the largest collection of Florida native wildlife, including alligators, bobcats, eagles, otters, panthers, peacock, and of course, flamingos. If you haven’t yet visited Flamingo Gardens, this is a must-do for a leisurely yet awe-inspiring date activity. See an inspiring performance at the Broward Center for the Performing Arts, ranked among the top ten most-visited theaters in the world. The center presents more than 700 performances each year to more than 700,000 patrons. This premier performing arts venue hosts Broadway musicals, operas, ballets, concerts, plays, multicultural performances, lectures, workshops, and educational events. So no matter your style, there’s something for everyone at the Broward Center for the Performing Arts. Take a look at their calendar to get two tickets to an upcoming show! Photo Courtesy of the Stranahan House, Inc.
You’re never too “local” for a historic tour of the city! 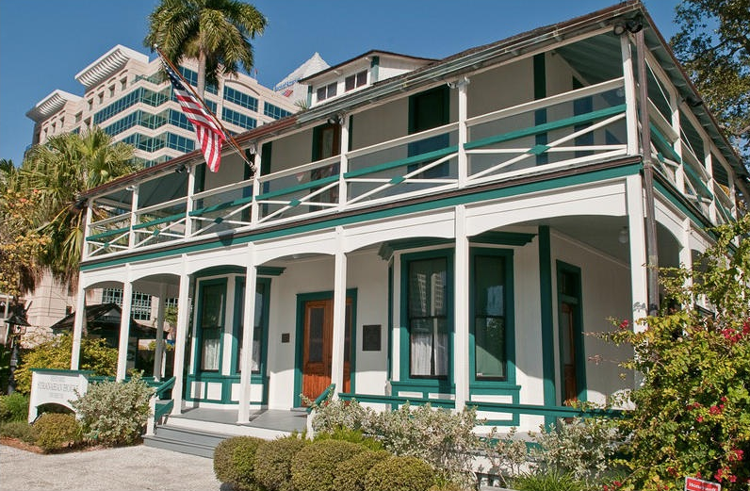 The Historic Stranahan House Museum allows you to take a journey through time. The Stranahan House was built in 1901 by Frank Stranahan, who is considered the founding father of Fort Lauderdale, along with his wife, Ivy Cromartie Stranahan, the area’s first school teacher. It is the oldest surviving structure in the county and has previously served in many capacities, including a trading post, a post office, a town hall, and home to the Stranahan family. Go on a guided tour through the museum, where you will learn about the birth of our beloved community. Tours are provided daily at 1, 2 and 3 p.m., lasting approximately 45–60 minutes. The appreciation and acquisition of art is something we hold in high regard. A visit to the NSU Art Museum is an excellent date activity, whether you have never been to the museum or you’ve been a dozen times before. With an ever-changing rotation of exhibitions, there is always something new and enthralling to see at the NSU Art Museum. Whether you prefer modern sculpture or Renaissance paintings, you will have a wonderful time exploring the wide selection of styles and art forms at the museum. With so many exceptional beaches in our backyard, a beach day is an obvious choice for a date in Fort Lauderdale. Opt for a secluded and peaceful getaway at nearby beaches like John U. Lloyd Beach State Park or Hillsboro Beach. Or experience the buzz and excitement of the ever-popular Fort Lauderdale Beach. Take a look at the variety of options for dazzling beaches lining the coast — whether you’re looking for scenic views of nature or an upbeat environment with nearby shops, eateries and other attractions at your disposal. Experience a taste of history, art and stunning garden landscapes all at once with a visit to the Bonnet House Museum & Gardens nestled along the river. As a luxury real estate brokerage, we find this to be a particularly enchanting destination. The Bonnet House was built in 1920 by Chicago-born artist Frederic Clay Bartlett on oceanfront land given to him and his wife, Helen Louise Birch, by her father as a wedding gift. Helen died from breast cancer in 1931 and Frederic married Evelyn Fortune Lilly in 1931. Today, the estate serves as a preeminent house museum dedicated to historic and environmental preservation in addition to displaying the stunning artwork by Frederic Clay Bartlett and Evelyn Fortune Lilly. Plan your visit to this inspiring, historic mansion to be transported to the days of gracious living, charm and whimsy. If staying fit was part of your New Year’s resolutions, an active date experience may be your answer. Sunrise Paddleboards invites people of all fitness levels to enjoy this unique and exciting exercise that works your abdominals, arms and legs while enhancing your balance and core strength. 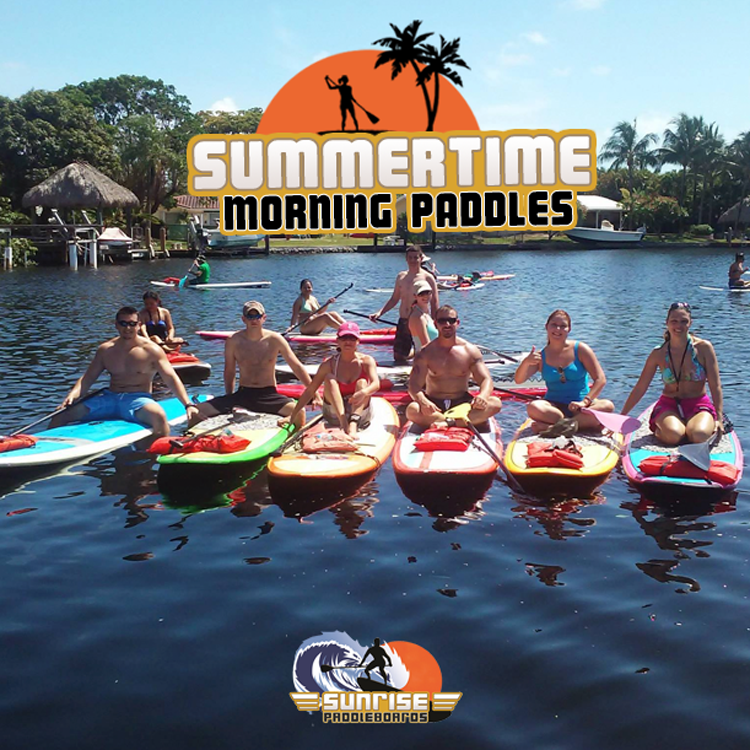 Their two-hour class is the perfect way to be introduced to the sport of stand up paddleboarding if you haven’t already, work on your personal fitness, and laugh alongside your significant other as you both complete this challenging, fun and effective activity. Beachgoers rejoice! There are plenty of ways to workout on the beach in and around Fort Lauderdale. It only makes sense to visit the very heart of Fort Lauderdale with a shopping day along Las Olas Boulevard. This renowned street provides a primary connection to the beach and has become a dining and shopping hub for locals and visitors alike. The boulevard hosts over 30 bistros, clubs and restaurants, many of which provide both indoor and outdoor dining. Visit over 120 specialty retail shops, world-class art galleries, museums, beauty salons, spas, jewelry stores, unique boutiques, and more. Taking a stroll along this renowned boulevard is a pleasant and laid-back way to spend the day in Fort Lauderdale with your significant other. 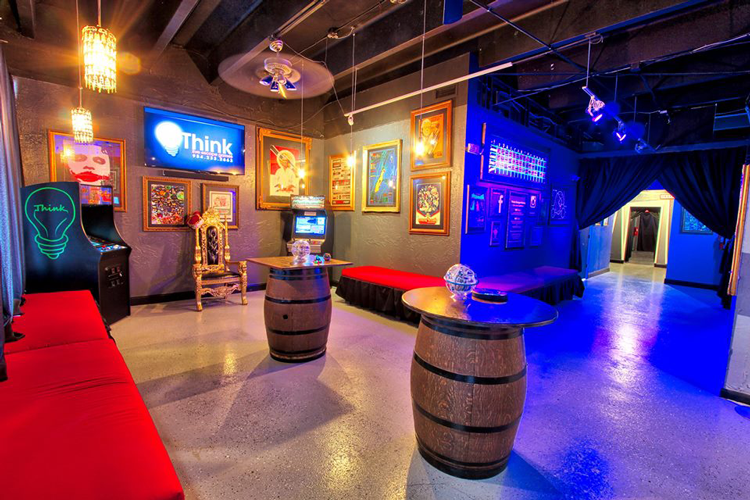 Stretch your imagination to solve a mystery together at Think Escape Games, an innovative escape room in the heart of Fort Lauderdale. Live escape games are a relatively new concept that has been sweeping the nation as a popular activity for corporate team building, date nights, or simply an outing with family and friends. You will be locked in a room with other participants and will have to use elements within the room to solve a series of puzzles, find clues, and escape the room within a set time limit from different scenarios. Think Escape Games has three separate games to choose from — an experiment gone wrong in Laboratory 51, a murder mystery in The Study, and a billiards challenge in The Shady Tavern. Work together and compete against the clock to escape before time runs out! What date ideas do you have? We would love to know your go-to date night spot in Fort Lauderdale. Share your idea in the comments below!